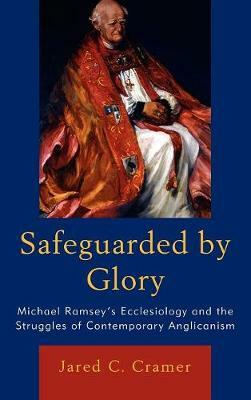 Michael Ramsey was perhaps the most respected articulator of Anglicanism for the twentieth century. Central to Ramsey's approach to theology was the gospel of Jesus' life, death, burial, and resurrection. For Ramsey this gospel revealed the very nature and glory of God. Furthermore, Ramsey believed that it influenced Christian theology at every level, from theological reflection to institutional structures. It creates a picture of a church that seeks to continue the ministry of Christ in healing a broken world, believing that the glory of Christ transforms the very nature of suffering so that it also becomes an avenue of redemption. In the last 50 years, the Anglican Communion has seen profound changes to its global polity alongside of shifts in practice and ethical beliefs in many of its provinces. These changes have been used on all sides of the debate as wedges to further disassociate the factions with one another. Ramsey's doctrine of the church, shaped by the Gospel of Christ, offers a different lens through which these changes may be viewed and critiqued. Most importantly, it suggests that the glory of God in Christ still safeguards the church.